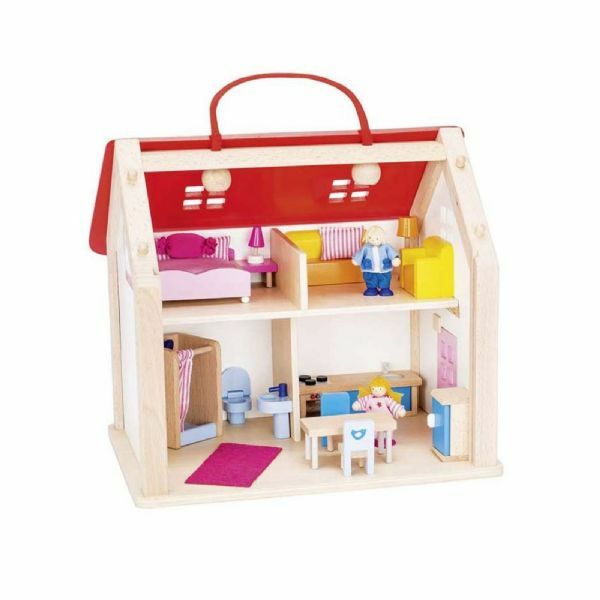 A colourful, fully furnished house. 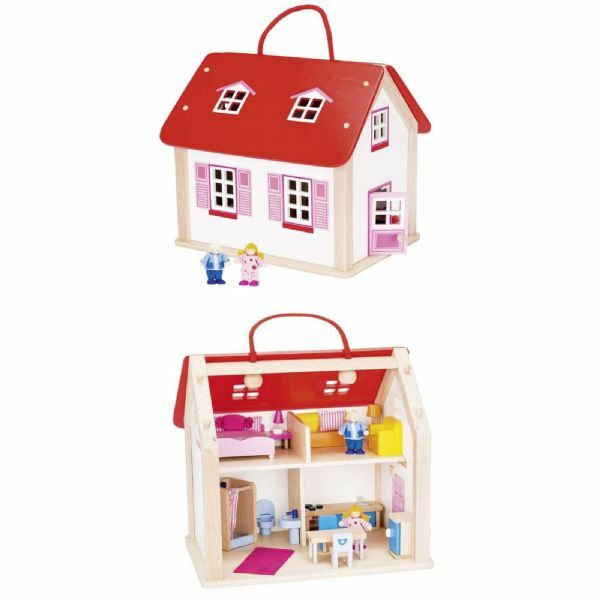 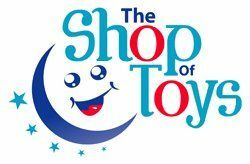 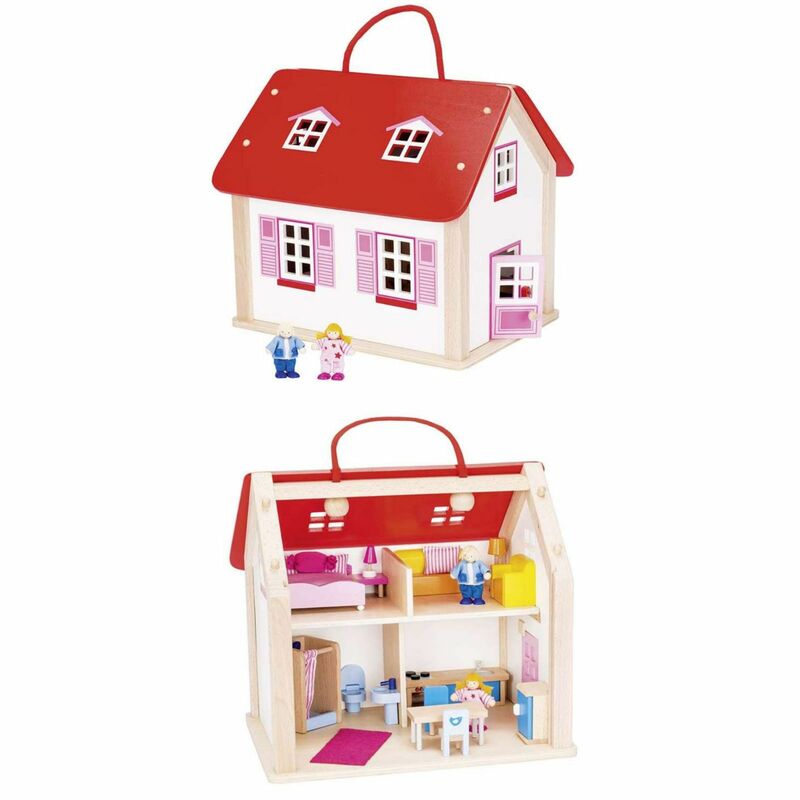 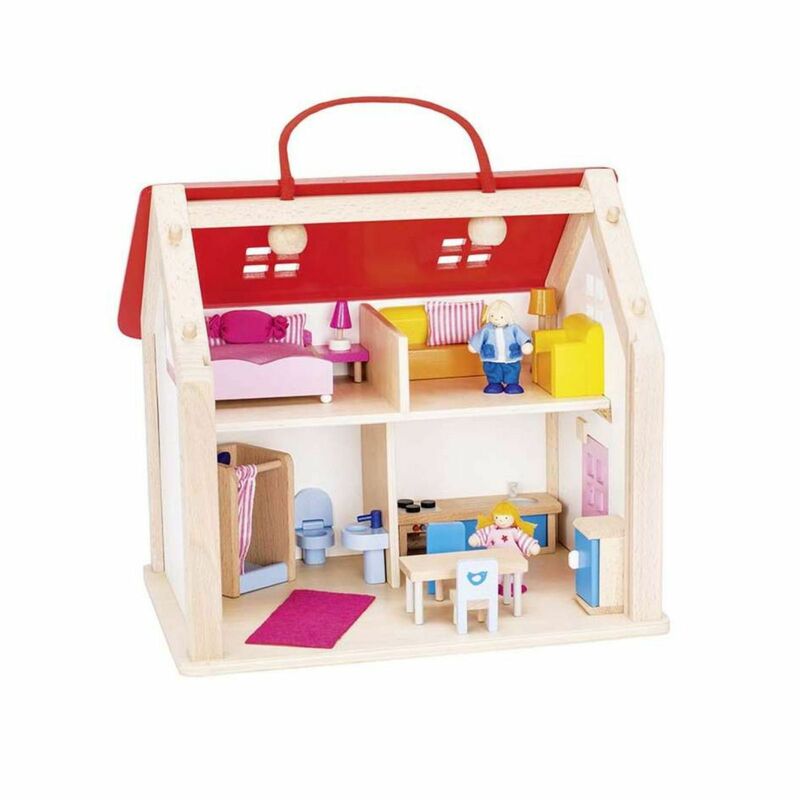 This 24-piece suitcase doll's house will bring many a happy playtime, the house is wooden and comes with many accessories including 2 wooden figures. 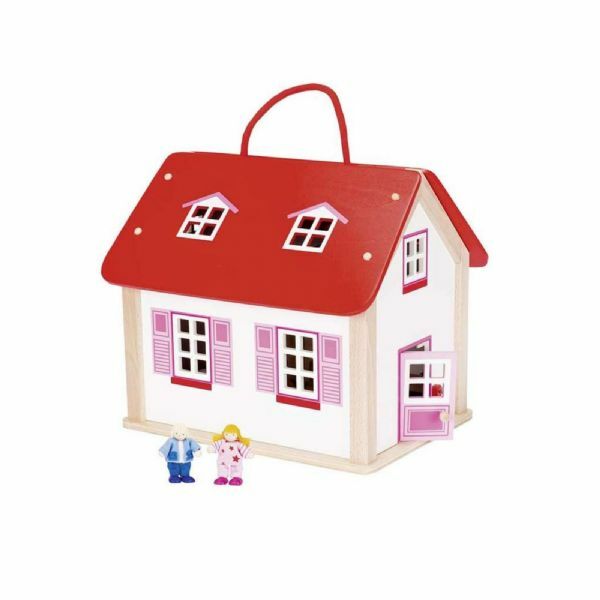 The dolls house also features a carry handle for easy transportation.